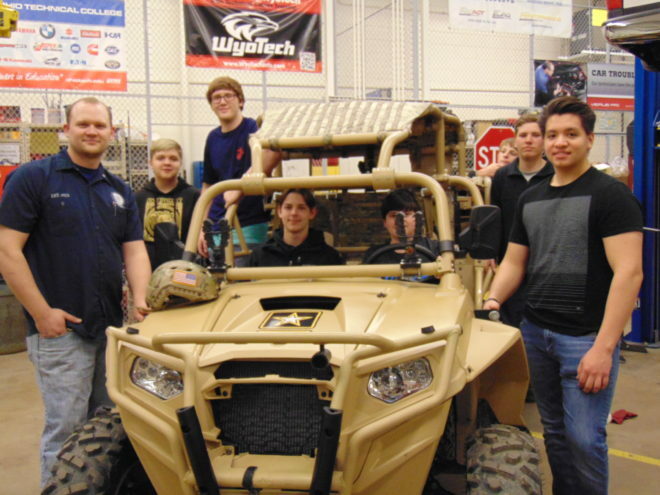 Mr. Tillman’s class happily overruns the Army’s ATV during their All Terrain Fighting Vehicle tour through this area of the country. Currently on a tour including five locations, the Army All Terrain Fighting Vehicle Team made their third stop at Belvidere High School to showcase Army assets and create excitement about the Army. They brought a Polaris RZR and an electric motorcycle and took up positions in Mr. Tillman’s Shop area for the day.